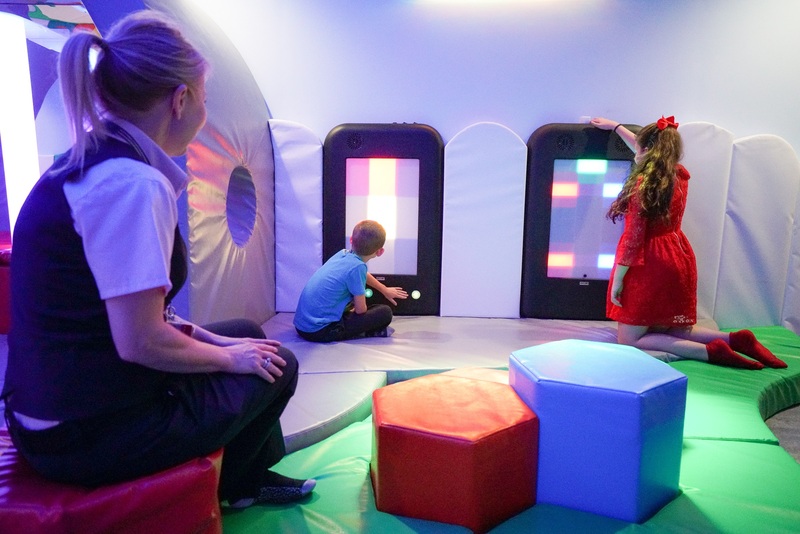 London Gatwick has become the first airport in the UK to open a sensory room for its passengers, offering a relaxing, private and fully interactive environment to calm people who may feel overwhelmed in busy and unfamiliar airport surroundings. The new space in the North Terminal has been designed for passengers with autism, dementia, cognitive impairment or other special needs, who would benefit from a designated place to help them feel at ease before their flight. The ‘chill-out zone’ for those seeking a calm setting includes floor cushions, bean bags and digital display panels, which generate colorful visual wall features. The separate ‘interactive zone’ stimulates the senses through tactile panels, textures and a game to improve memory, motor skills and encourages learning. • Infinity and Beyond Panel – visual and auditory effects using range of shapes, sounds, patterns and speeds. The free to use room is only available to departing passengers and their families or caregivers. A 45-minute session can be booked at the North Terminal’s special assistance desk once through security. The desk is part of a new airline lounge style area, which opened earlier this year for passengers that require special assistance. The special assistance area has capacity to seat up to 90 people and has been designed with a premium lounge feel, providing bespoke chairs and soft furnishings to provide a quiet, calm environment for passengers to relax in before their flight. Andy Pule, head of terminal operations, Gatwick Airport, said, “We recognize airports can be stressful environments for some passengers, which is why we are extremely proud to offer this new space for them to relax in and enjoy before their flight. Mark Lever, chief executive of the National Autistic Society, said, “There are around 700,000 autistic people in the UK and they and their families want to access the same opportunities others often take for granted, and this includes holidays and travel. But many rely on routines to make sense of an often-confusing world and can find the busy and unpredictable airport and flight environments distressing and disorienting. “This is why we were delighted that London Gatwick, who achieved our prestigious Autism Friendly Award in 2016, have gone a step further and created a fantastic new sensory room for autistic travelers.